Is your property overwhelmed by a tree’s thickness or height? Is an overgrown tree causing damage to your house? If the large size of a tree is causing problems, a crown reduction is needed to maintain the aesthetic value of your property and prevent further damage to structures. Let the crown reduction professionals at Bay Area Tree Specialists help. 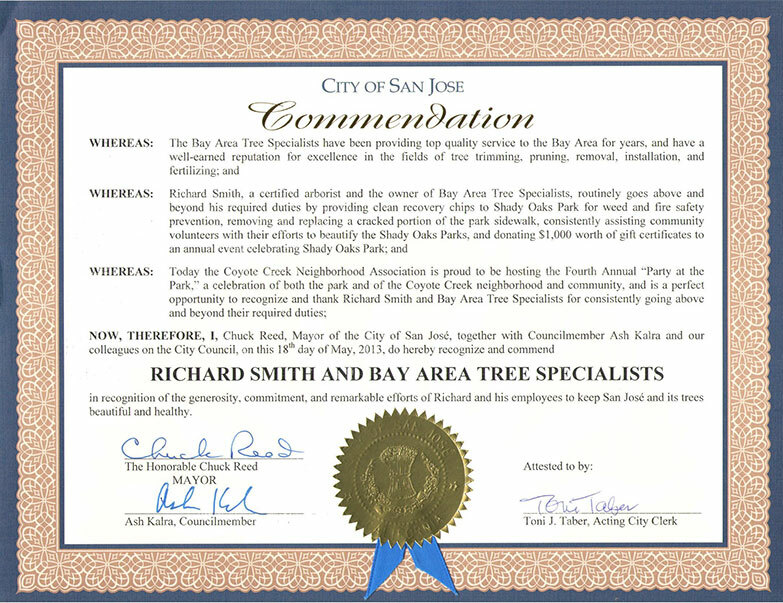 We provide tree trimming services for both residential and commercial properties in San Jose, Palo Alto, and the surrounding areas. A good number of clients choose our services every year because of our superior knowledge and safety techniques when it comes to tree care. Like other plants, trees also need proper care to maintain its health and beauty. A property can benefit from the long-term value trees offer. We have provided crown reduction services for real estate brokers, landlords, and property managers who want to increase the aesthetic appeal of their properties. Homeowners also count on our excellent tree trimming abilities to manage foliage in order to keep branches from damaging the house or interfering with overhead utility lines. 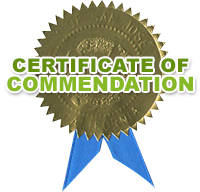 We stand behind our work and guarantee 100% satisfaction on every project. Call us today and experience why our tree services are considered the best in the locale. Our experienced team has done countless reductions in the foliage-bearing portions and height of trees, ensuring a neat, compact shape that suits its location. Unless there is a critical need to remove more length, our tree specialists make cuts as little as possible to avoid stressing the tree or altering its natural form. Request for a FREE quote today! 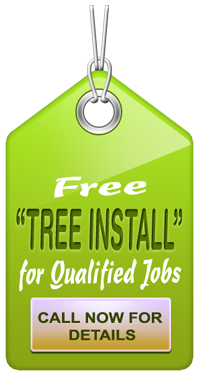 Bay Area Tree Specialists also offer FREE Tree Install for Qualified jobs. We provide tree trimming and other tree care services in Santa Clara, Monte Vista, Permanente, San Jose, Palo Alto, and other areas in California. To find out more about our services, visit our Contact Us page and fill out the form or call us TODAY.